Dr. Mayuri Gupta is gastroenterologist with over 19 years of experience. She earned her medical degree from Mahatma Gandhi Memorial Medical College, Indore in India. She then went on to pursue a residency in internal medicine from the University of Pittsburgh Medical Center. She is also fellowship-trained in gastroenterology at Allegheny General Hospital. Dr. Gupta is certified in gastroenterology by the American Board of Internal Medicine. 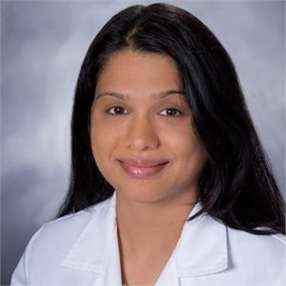 Trained to address a broad range of medical conditions, she is skilled with the intricacies of the treatment of ulcerative colitis, hemorrhoids, Crohn's disease, jaundice, and rectal bleeding. A multi-linguist, Dr. Gupta converses fluently in English, Spanish, Hindi, Vietnamese, and Creole. Her linguistic skills help her in building and strengthening relationships with diverse populations. Currently, she renders her services at Dr. Vipin Gupta's practice and takes care of the locals of Lighthouse Point and Coral Springs, FL.